The City of Hobart is developing a Transport Strategy that will plan for Hobart’s future transport needs and guide how improved transport will be delivered through until 2030. The strategy will support growth in the city’s population and the economy. The community's input informed the development of the draft Transport Strategy to address the most pressing issues within the control of the City of Hobart. During 2016 and 2017 the City undertook an extensive engagement process and the community contributed issues, concerns and ideas. A summary of the community engagement is available here. The Council approved the Draft Transport Strategy to be open for community and stakeholder engagement at their meeting on 9 July 2018. The engagement was open on Your Say Hobart from 10 July - 24 August 2018, during that time community members were asked to view the draft Transport Strategy and provide feedback in an online form. Thanks to all those who provided feedback on the draft Transport Strategy. A report on the results of the community engagement is being prepared to be presented to the City Infrastructure Committee meeting on 19 September 2018. Do you have a question in relation to the development of the Transport Strategy? Submit your question here and we will respond. Are there plans in this transport strategy for bicycle commuting? With the advent of E bikes, greenway commuting has become viable and very popular. This is essentially making a paved belt of connected paths through parks, fire trails that will take bicycle traffic off the main roads and allow people to commute long distances on e-bikes. Very in-expensive infrastructure, efficient, healthy and green. Also helpful to students and people with less money. Thanks Andrew for your question. The draft transport strategy contains an action to develop a new Bicycle Plan for the City of Hobart. The development of such a plan would be informed by the City of Hobart Bicycle Advisory Committee. In any event bicycle commuting is considered to be a growth area for the City of Hobart to support. Past projects undertaken in the City have had bicycle commuting in mind. Thanks for your question. For a longer submission please feel free to write to us. The June 2017 issue of 'City News' said that the Background Paper for Module 4 (Local area traffic issues) was available and that comments had to be made before the end of July 2017. I can't see the background paper or anywhere that comments can be made. Many thanks, Sue Headley. Our apologies, the survey and background paper have been re-checked and are now currently available. Thank-you for bringing this to our attention. Please let us know if there are any more issues. The survey for Module 1- Freight, Port and Air is now complete, however there is still opportunity to get involved in this engagement. We have recently uploaded the background paper for Module 2 - Private Transport. This can be found in the Related Documents section of the Your Say page. The survey relating to Module 2 will be open for submissions in the next couple of weeks and will run until late March 2017, so there is plenty of time for you to have your say. The Freight, Port and Air module is open for comment until 16 October 2016. In addition to the opportunity for the community to provide feedback on the issues associated with this module using the survey form on the Your Say page, engagement consultants Inspiring Place will also be interviewing key freight stakeholders. Contributions to this consultation are closed for evaluation and review. The Project team will report back on key issues raised during the consultation on this module. The issues raised during the consultation on this module are documented in the outcomes report available in the related documents tab. The Private Transport module will be open for comment from late November 2016. Feedback will be reviewed and issues report released. The Private Transport module will be open for comment from April 2017. Feedback will be reviewed and issues report released. The Private Transport module is now open for comment until 31 August 2017. Feedback will be reviewed and issues report released. The draft Transport Strategy 2018-2030 has been prepared for endorsement by the Council and in alignment with the new City Vision prior to the draft being available for community and stakeholder comment in July 2018. The City of Hobart is seeking feedback on the draft Transport Strategy. Feedback received will be reviewed and the final Transport Strategy 2018-2030 will be prepared for adoption by the Council in late 2018. Why is the City of Hobart developing a Transport Strategy? What will the Transport Strategy achieve? Who is responsible for transport in Tasmania? How will the Transport Strategy deal with regional issues? Transport is vital to our daily lives and the development of our city, suburbs, businesses and industries. Background papers have been developed for each module which reference the substantial amount of information, previous studies, past and current plans, strategies and data has been published. 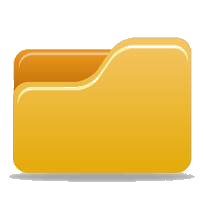 The background papers are all available in the related documents tab. The consultation outcomes reports are also available. A summary consultations report has been produced and is available here. Additional papers, strategies and information are also available under Related Documents and the reference material will be continuously updated throughout the project.